In the recent years, it became a trend to hold a backyard wedding reception. They can be less formal and more fun, which makes many people consider it an excellent choice. However, as poetic as it may sound, a backyard wedding is not for everybody. There are some challenges that not everybody can take, but the result is indeed very rewarding. Let’s have a look at what things you should keep in mind when you choose to have such an event! 1. Is There Enough Space? Make sure that the setup you have planned for the wedding includes enough space for all the guests. If your backyard is too small, perhaps you should consider cutting people off the guest list. As a general rule, you should allow 6 to 10 square feet of space on the floor for row seating. Given that the home is the place where you stay most of the time, it might be hard to organize it for a huge event. A wedding coordinator will come up with fresh and creative ideas. Moreover, with their experience, they can tell you which ideas are double and which aren’t. Besides all this, the basic things that need to be done can be too overwhelming just for one or two people. 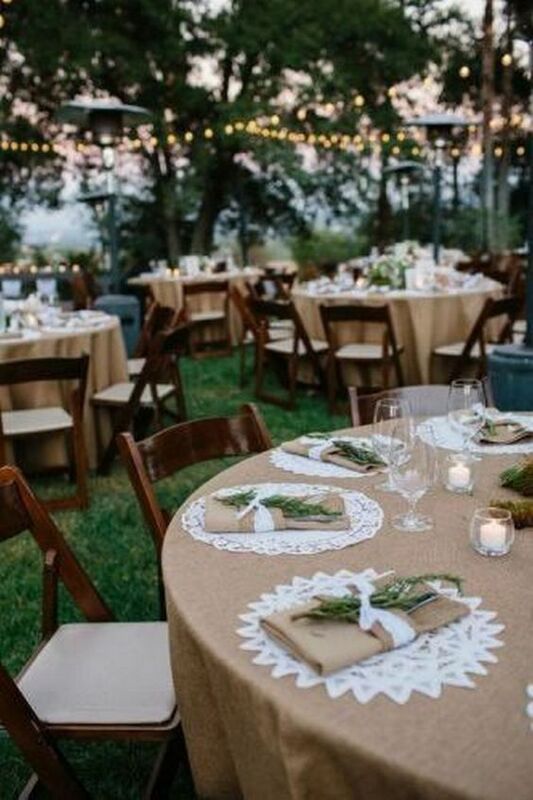 Hiring people for setting up, serving, cleaning, cooking and parking cars can be a huge relief, especially when you’re stressed with planning the backyard wedding reception. Keep in mind that everybody will see your lawn, so don’t forget to take care of it as well. Drag out the lawnmower and do it yourself, or simply hire a landscaper. 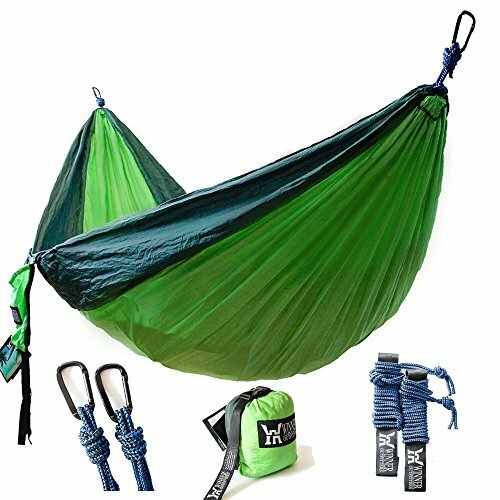 Prices may vary, and if you can afford it, it’s a good investment since it will save you up a lot of money. Growing your own wedding flowers is also a nice idea. Most perennials usually need a winter so that they can take hold. Moreover, it takes quite a while for annuals to be filled out. Do some research and find out what are the right planting times for each of the flower species. This is necessary if you want to have them in full bloom on the big day. For example, if you have the ceremony in spring, you can go for daffodils, lilies of the valley or tulips. In the summer, it is recommended to choose Gerbera, African daisies or geraniums. Perennials are a great choice for fall: chrysanthemums, Japanese anemones or blue salvia. You should check in advance whether it is possible for the wedding officiant to give you the blessing at the location you choose. Some of them may not be able to fulfill your request outside the place of worship. This happens because some churches don’t recognize other places. As such, make sure you have enough time to find a licensed officiant who can do the honors. Unless you have a huge villa with 25 rooms, letting guests stay over may not be the best idea. The homeowners and the immediate family should, of course, be accommodated at the wedding site if needed, but a crowded house is the last thing you need on such an important day. Instead, choose a hotel close to home that doesn’t cost a fortune. It’s important to have enough chairs at the ceremony, so count them well. If you need more room in the backyard, you can remove them after the meal. You can keep half of them around, so people can sit down if they want to. 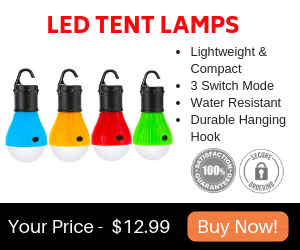 If you have a regular home, most likely you cannot supply enough power for lighting the wedding tent or using a catering kitchen. A power outage would be awful during a wedding, and so would be blowing out the neighborhood. First, check with the caterer as soon as you can to see if they need to use more grills, roasters or coolers. You may not want to wait a lot to take care of this issue on the backyard wedding checklist since then it might be too late. Having an uneven ground can be a serious issue for your chairs, tables, and the dance floor. If you ask for help from a professional tent company, they can advise you with that. 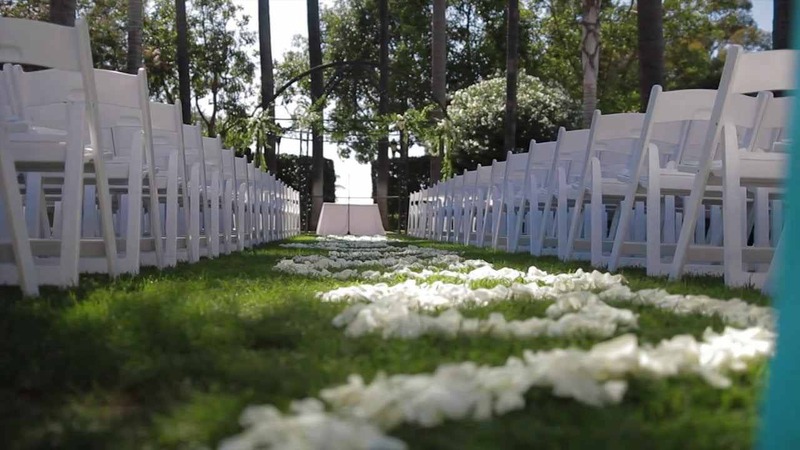 It is advisable to check also with other vendors, such as the band, the florist or the caterer, and see if they can manage with the ground as it is or you need to make some changes to the garden. In some places, depending on the area where you live in, you may need a permit to party. From those released by the city to those needed from the fire department. You may need to hire an electrician to take care of the area and see if the local noise regulations impose a certain hour for the party. After all, you don’t need the cops to crash your wedding party. Of course, a casual backyard wedding reception represents an economy. However, you can save up even more if you minimize the costs with the decorations. 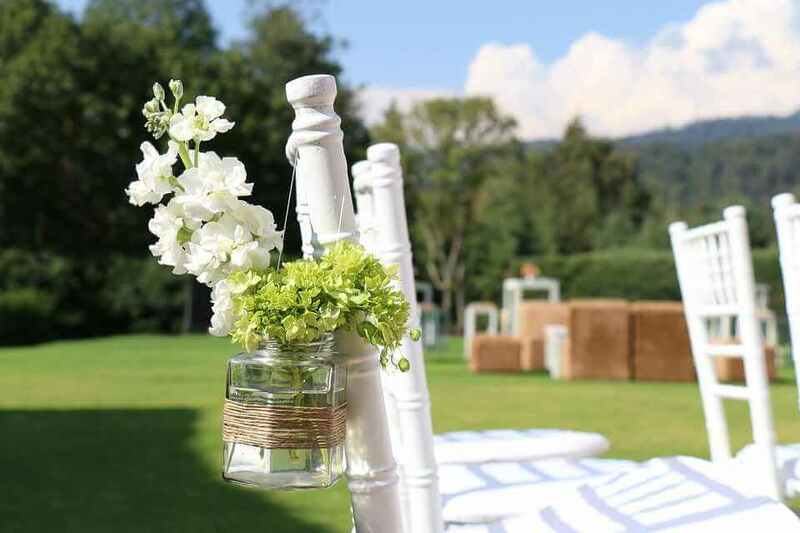 Bring a homey feeling into the party by using various centerpieces around the lawn, as well as some mix and match vases. Play with the outdoor lighting or choose to offer a fresh air by bringing home-grown flowers. 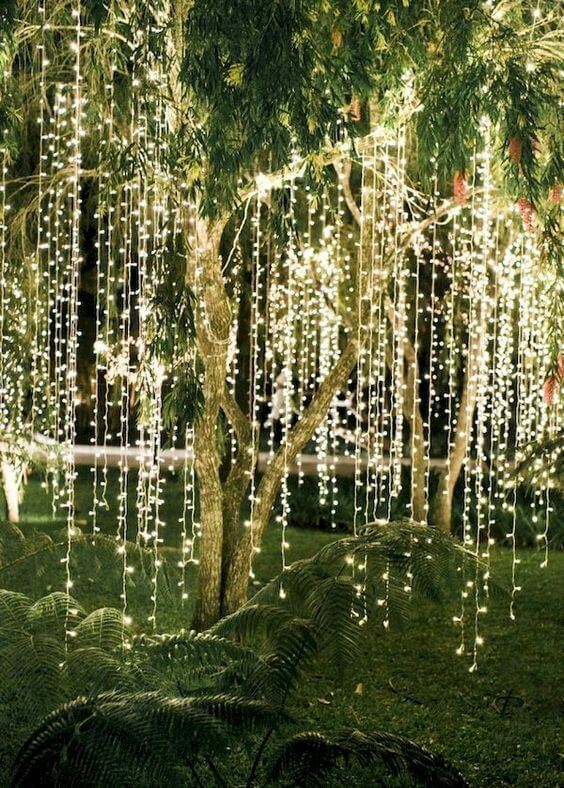 Use garden lamps, strings of white lights and paper lanterns for a great atmosphere. You can also go for DIY wedding centerpieces, which will then again save you money. Do not rely on just one thing. Whether we’re talking about the weather, neighbors or an accident, always think about the possibilities. In case it rains unexpectedly, make sure you have enough room for all the guests to stay indoors. Have some extra food or drink in case your neighbors would like to join you, or you can take advantage of the extra space they have for parking. In any case, try to prevent anything unexpected from happening and everything will be fine. If you’re not ready to pay for lots of things in case they break, then a good option for your backyard wedding reception would be getting an insurance. Just imagine how everybody would be going in and out the house, from guests to vendors or other helpers. If you have a wedding in your own or a friend’s backyard, you don’t have to pay for the venue anymore. At the same time, if you choose a traditional space for a wedding, you will end up paying a lot of money for it. Moreover, the locations that are up for renting come empty, so you will also have to pay for renting the chairs and tables. When renting a space, usually you must respect the rules of the place. Meanwhile, with a backyard wedding reception, you can dispose of the space exactly as you wish. Whether you want to include hundreds of chairs or reserve a big chunk of the floor for dancing, it’s all up to you. Moreover, you can choose any decorations you want, which means even more freedom for you. 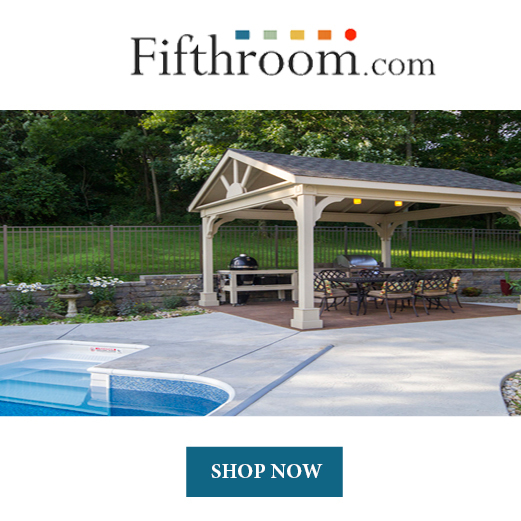 Your backyard is available at all times, so you don’t need to worry about finding the right date. This means even less stress and planning. As such, you can set the date together with your fiancé, thus leaving nothing to worry about when it comes to the date. Usually, wedding venues don’t really leave you too much space for playing games. Meanwhile, a backyard ceremony would let you play lawn games with your guests. This will make the entire party more fun. You don’t need to be necessarily fancy at the party if you don’t want to. A backyard wedding plan allows for a less formal or fancy-dress code. Your guests may also be grateful to you for not making them wear extremely expensive clothes and making them feel comfortable and casual. While choosing a backyard wedding, you may want to think about the fact that there are lots of things to consider. It can be really tiring and stressful if you’re not a good planner, so make sure you have the patience and the resources needed for this. Lists and apps for organizing are excellent and you can find plenty of those online. 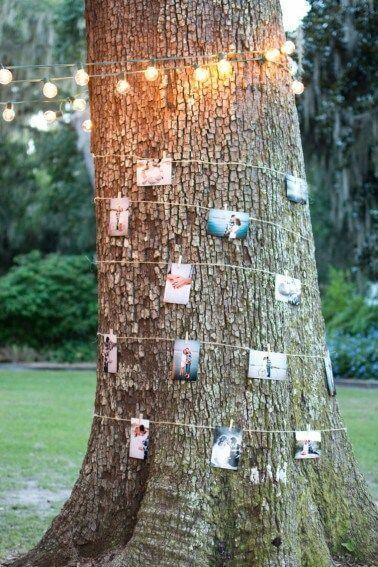 Moreover, you can find lots of outdoor wedding ideas online.